Lee Hsien Loong blames Singaporeans again for inflationary concerns. According to him, it is not that the prices of goods have gone up but that Singaporeans' expectations have. With that, he cunningly swept the concerns of inflationary pressures under his extraordinary thick carpet. “Expectations, buying things which you didn't use to buy, I think are a big part of why people feel housing costs (and the) cost of living have gone up.” he said. So inflationary pressure is purely an individual’s sentiment. No qualms about his intelligence when he exploits humans' insatiable greed for the intention to confuse the issues between desires and inflation where each are actually independent of each other. Insatiable greed is the intrinsic traits of us humans. It is true that in this day and age, we have lots of electronic gadgets which my parents' generation never had; not wrong to say either that I would want to possess infinite number of materials; and neither can LHL hide the fact that that the cost of basic goods in my parents' generation are comparatively more affordable in proportion to their salaries (my father was the only breadwinner) than it is for our current generation. Housing, education, healthcare and transport are the basic goods to start quality life. And these are the four areas which will impact the current generation more than previous generations. Let us take a look at the pricing of HDB 4-room flats as a benchmark. Housing is a basic need for young couples to start families and 4 room flat should be reasonably spacious for young families. Between 1970s to 2010s, the jump in price of a 4 room flat is 18 times. I couldn’t find concrete figures for a fresh graduate in the 1970s but I do have the average graduate pay in 2012, that is, $2 678. Even without the exact figures for the 1970s, anyone could guess that current fresh graduate couldn’t be earning 18 times more than a graduate in the 70s could earn. And for non-graduates whose starting pay is lower than graduates’, HDB flats inflation is even greater for them. This is not a result of individuals’ higher expectations. It is a fact. Let's put it this way. Even if I give up purchasing ten iPads in the next twenty years till my retirement time, would that amount of savings suffice for my parents’ and my own medical costs by then after taken into account of future inflation rate of healthcare at the current rate? Is LHL implying that if young people were to give up their iPads, hairdos, their caviar, they would in turn “feel” BTO flats affordable? 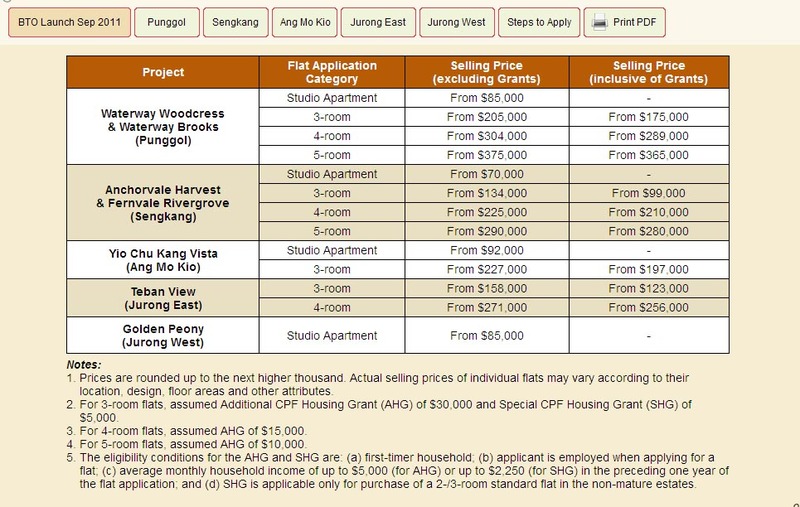 A 4-room standard flat at Sengkang is priced at $ 225 000 (without grant) at Sep 2011. 8 months later, at May 2012, a 4-room standard flat at Sengkang started at $275 000, an increase of $50 000 compared to Sep 2011. You simply cannot save an amount of $50 000 in 8 months with a fresh graduate’s average pay, even if it means saving up every cent of that disposable income. Giving up ipads, hairdos, fine dining are futile in curbing the increasing price of HDB flats. Desires do not result in inflation. And neither could void of desires curb inflation. Given the inflation rate, putting aside the entire disposable income is hardly able to cushion the pricing of flats. 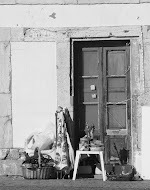 What about the other two basic goods for families: medical and education. For some families, a single generation is taking care of the medical costs for two generations: a couple taking care of their elderly parents who have little CPF savings and their own future healthcare cost. On our expectations on our public transport, we were in fact encouraged to believe that we have the best system in the world. It is not unreasonable then to expect the best. However, the fares rise inevitably, accompanied by a drastic fall in quality level. Think of comfort and reliability. On private vehicles, increasing number of vehicles give rise to more traffic congestions and ERP does little or nothing at all to resolve that matter. Pay of ministers in 1970, $2 500 - $4 500 per month, approx. $30 000 – $55 000 each year. By 2012, ministers are paid $ 916 000 each month, totaling $ 1.1million in a year. That is 20 times the amount in 1970. The inflation of our HDB flats dwarfed that of our ministerial salaries inflation. Apply LHL’s logic of high expectation, ministers’ size of expectation is comparable to that of the planet Jupiter since the size of their salaries have been ballooned 20 times in thirty years. Therefore, it is little surprise to hear Grace Foo crying out in agony for her pay cut. The message which LHL is driving at is that expectations are reserved only for the ministers and elites, citizens are not entitled to have any of it. Simply put, give up hopes on his political party in resolving soaring prices on our basic goods.